About Product : Layers on layers stacked up..sewed with an old-school needle & a contemporary thread adapting new beliefs every second.. Kolhapuri footwear's brings out a very strong character of the people behind this classic piece of art.. bedecked with knots & leather straps.. the golden zari, the colorful threads... all adding up to the flavor kolhapuris are..
Atop Sahyadri mountains withstands a beholder, all that need not come close… deceit and foul play of the theatrics around…. is silently swallowed by a carpet of white clouds floating right on top of the city… not to touch the little nail of his toe. This holy priest to-be is already in his warm red garb waiting for the rendezvous to begin… mornings are for prayers. A witness to the centuries gone by, these walls of Mahalaxmi temple of Kolhapur have stood like a calm listener awaiting stories that come by… as prayers sung by hissing winds and the parade of orchestrating birds. Dawn breaks free… the morning breeze, the flocks of birds leaving nests, the chanting of the priests, urging the city to wake up to the call, to drop the dark blanket they wore to slumber last night… that weighed them heavy… that has been dried by the gold of sun, delivering them naked and fresh again in the arms of mother earth. A rush of old beliefs & modern thoughts comes together towards the Western Ghats, where the city of Kolhapur awaits the results of this perfect blend. Also called the Dakshin Kashi of India, Kolapur is surrounded by lush green landscapes which house incredible archaeological & cultural heritage. Legend goes that the city was settled by Kolhasur, a demon who was later killed by Mahalakshmi to relieve the local populace. However, honoring the demon's dying wish, the city was named after him. 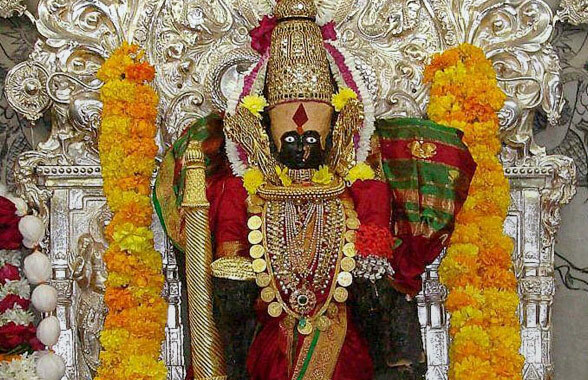 The goddess of wealth and power, Devi Mahalaxmi's temple is located at the heart of the city. This temple is famous for its well known South Indian Architecture, built by Chalukya king Karndev in 634 AD. 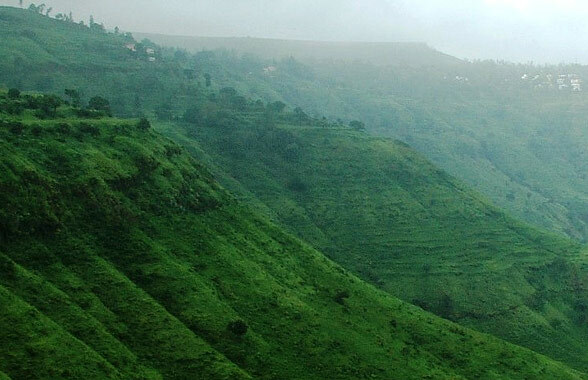 Kolhapur is one of the oldest civilizations of the country. In 1945, excavations on the Brahmapuri in Kolhapur have revealed the existence of an ancient town dating back to the Roman era. Its cultural history is dated back to 17th Century. The princely state has been ruled by different dynasties in the past, but it was under the rule of the Marathas that it became a cultural hub. Rajarshi Chhatrapati Shahu Maharaja is the architect and founder of modern Kolhapur. Shahu Maharaja's reign lent a progressive spirit to the city and the king extended his patronage to arts like theater, film making, music, painting, sculpture, wrestling and crafts like tanning and jewelry making. He was not among the male ancestors of this dynasty as he was born as the eldest son to Appasahed Ghatge, the Chief of Kagal on 26th June 1874 and was named as Yashwatrao Ghatge. In the year 1884, Rani Shrimant Anandibai Raje Saheb decided to adopt him and made him Chhatrapati of the princely state of Kolhapur. 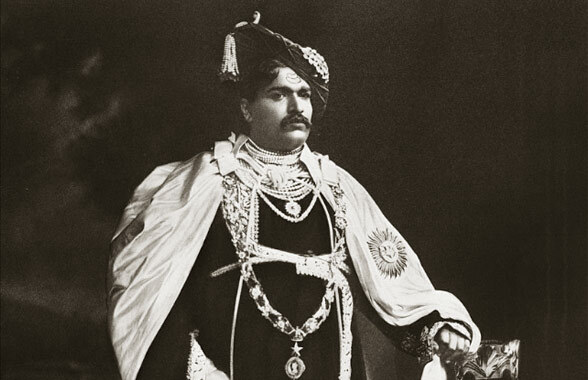 Chhatrapati Shahu Maharaj ascended the throne of Kolhapur in 1894, bringing an end to the 50 year old regency administration. His reign of 28 years from 1894 to 1922 ushered a new era of social, cultural and economic reforms for which he is remembered as one of the greatest rulers in Maharashtra. After the reign of Chhatrapati Shahu Maharaj, the Bhosale Dynasty continued on the Throne of Kolhapur. Taking birds on its way the wind reaches the floating river Panchganga to collect stories of the day. Birds sit afloat, soaking in their spongy under coat the flowing messages… what is it that the soil feels under so many stamping feet, the boulders grumble for a reason and the storms thunder not for no reason…. The cacophony of the charioteers trading their harvest and all this play happens in whose interest…The River questions the breeze “Why are you so late! I have thousands of things to share…” & the breeze starts collecting these messages rather quickly. A bag full of stories each bird becomes and flies towards the temple. The birds start to unfurl the messages & the wind binding them all together speaks up “I the morning breeze bring to you messages of the city as told to me by the river so mighty… ” The temple walls are all ears in delight... Overwhelmed with the response, the wind unfolds freely “Unfamiliar footsteps are climbing the rugged mountains in the dark hours, gracing the city with their unusual attire, bringing a strange aura with them. Carrying humongous sacks around with cattle, pulling carts full of goods; they are the Saudagars from different regions coming to the city, to make a living. After an overnight journey bruised feet often retire themselves by the banks of Panchganga waiting for the day to peep in. As the sun rises they make their way towards the bazaar again. 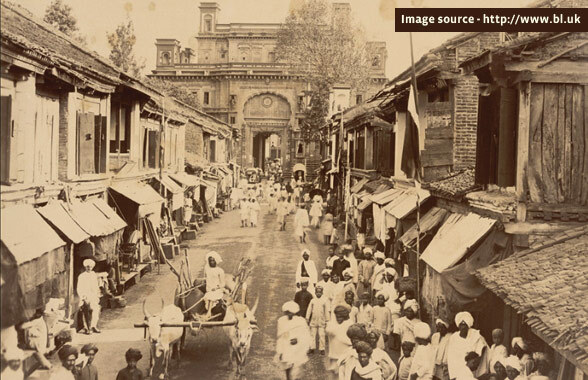 The bazaar has hundreds of lanes where traders sit on either sides working out their way by selling off their goods to the customers. On the far end of the lane a young man sits... acknowledged by none he looks for an opportunity to run his livelihood. He gazes at bruised & bleeding feet walking past him & thinks to himself; “I can make something to ease their pain and also earn a penny for a change.” After researching for days he comes up with an idea of making a chappal (sandle), an acquaintance through the rocky mountains, saving the wearer from snakes & scorpions, 70 Vinchu seeds(Martynia annua or Devil’s claw seeds) he puts inside a single chappal and oils it with groundnut oil, giving them a crackling sound with every step …. This he believes will scare the insects around. 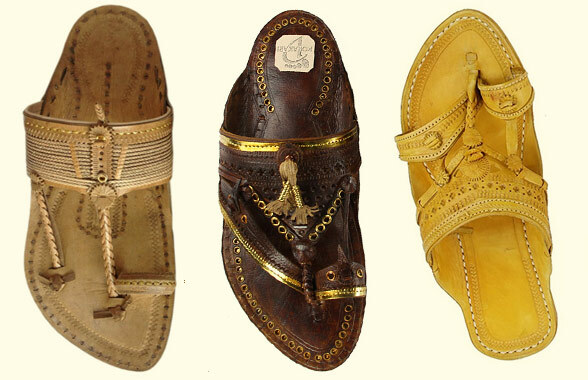 These chappals are made with animal hide to beat the heat & also be water resistant at the same time. 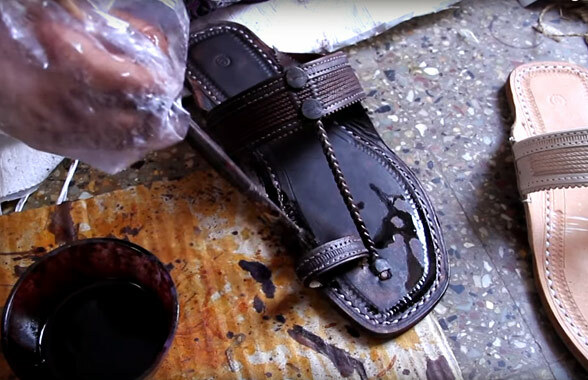 To make a Kolhapuri Chappal craftsmen use many tools like Hammers of different sizes, Punches, Rappi (Knife), Sewing Machine. 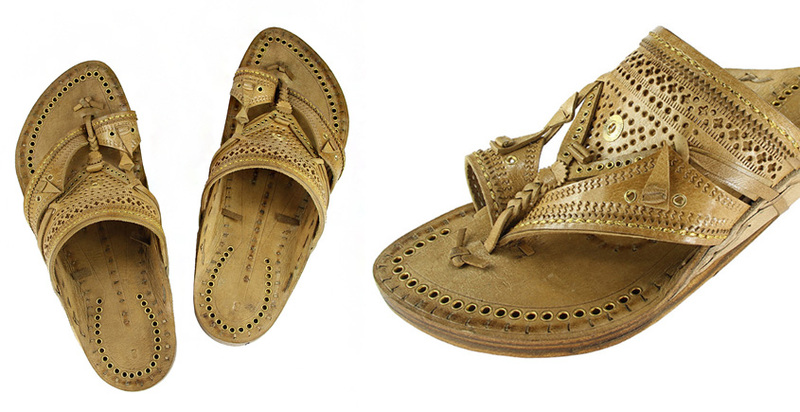 These chappals are made from processed leather. 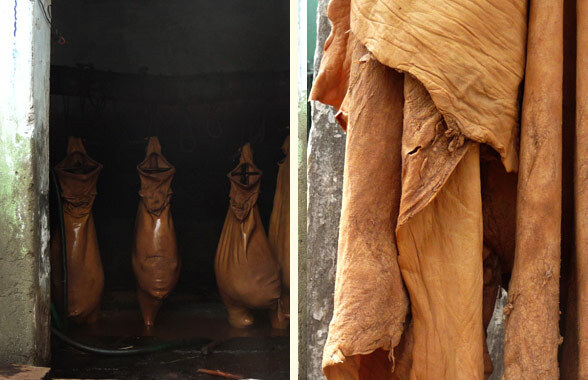 Mainly buffalo, goat or bull hides are used in the manufacturing of these. This leather is processed and grazed. 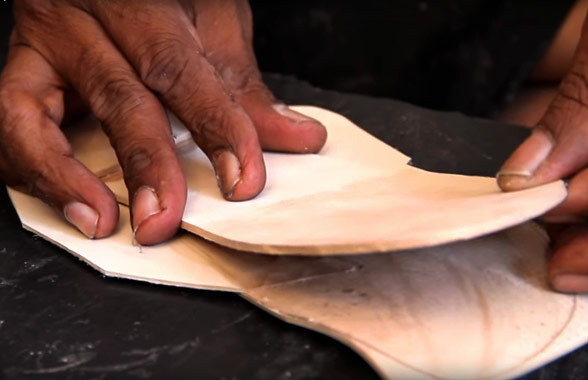 The process of making the chappal starts with removing the hair from the hide. Salt & lime powder is mixed with water in a big tank & the hides are soaked in it for four days. As the skin becomes softer it is stitched with Sisal leaves into a bag form. Harada (Myrobalan fruits) pieces, Babul pieces with water are mixed in a wooden bucket called as Teep for about five days. This mixture is filled in the leather bag in the upper portion for about 7-8 days and further the mixture is filled to the lower portion and tied for about 8 days. The craftsmen prepare a surface of babul tree for drying the leather under the sun for 2-3 days & afterwards they are kept in storage. Leather is washed again to make it soft & simple tools are used to make it ever smoother. After a design & the size are finalized, the craftsmen use a stencil to mark the shape & size. Layers after layers are stacked together to prepare a sole, to bind those leather or cotton threads are used to stitch them together. After the sole is ready, the craftsmen proceed to make different types of decorative straps using soft leather stripes & punched leather pieces. 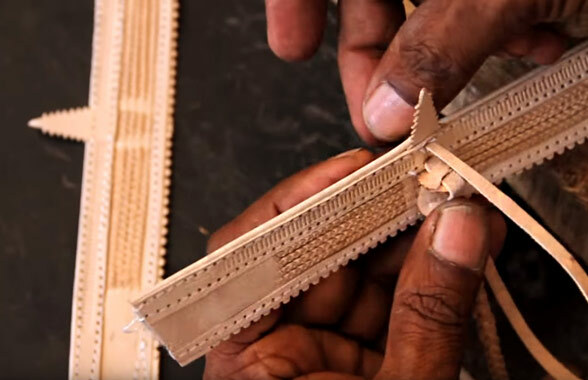 These different types of knots & stitches are one of the main qualities of a Kholapuri chappal & sometimes local adhesives are also used to stick different parts. 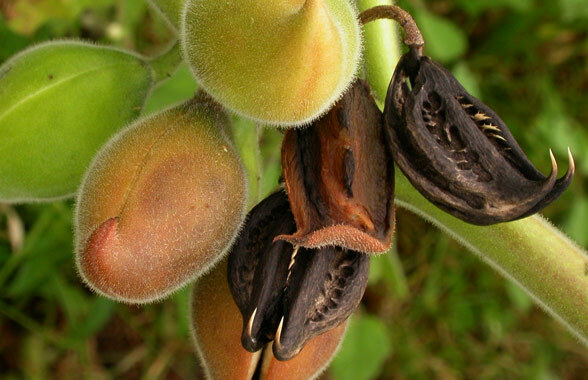 Lastly a shoe cream, a color mixed with little water is used to get a yellowish or reddish color. The straps are attached to the base part of the chappal & for ornamentation purpose different type of threads and zari are used. Named after the city, Kolhapuri chhapals have a very strong character, one that is easily identified by their aesthetics. Local craftsmen also have different names for these chappals; like Kapsae, Korwnda, Nachemaruie, Agutapata, ShahuMaharaj, Maherban, LadiesPaper etc. Predominantly crafted by the people from the lower caste, with time they have become a major identity of the city. The dusk approaches & it’s time for the wind to leave and the birds too should get back to their nests before it is too dark. “Many people in the city await my arrival” says the wanderer wind…. And heads straight to hit the highest gong in the temple premises…. & leaves the temple bewildered & awestruck! Note The products in this category is handmade. These might slightly differ from as seen on digital screen. Atop Sahyadri mountains withstands a beholder, all that need not come close… deceit and foul play of..